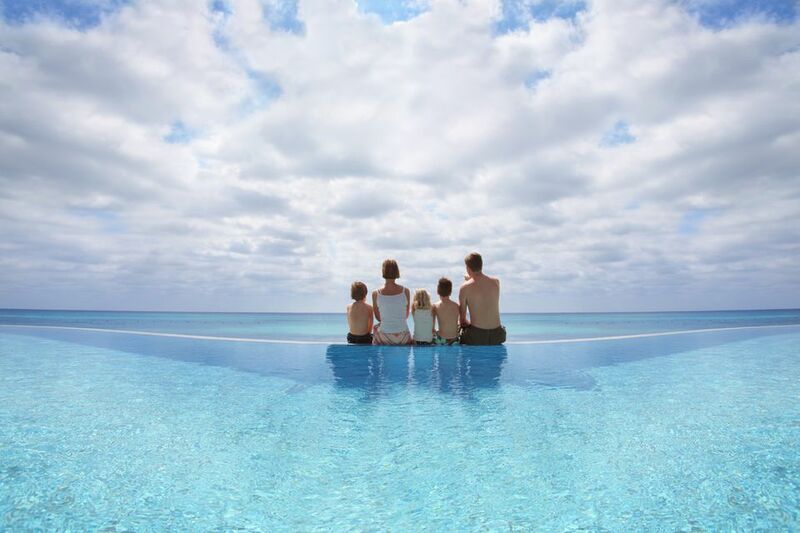 The Caribbean is ideal for families. In fact, there are few better places to take your children than this veritable playground of white-sand beaches, warm and clear waters that are ideal for anything from wading to water sports, and resorts that cater specifically to families with a dizzying array of swimming pools, restaurants, and child-care options. Add to that activities ranging from hiking and shopping to snorkeling and eco-adventures and you have the makings of a memorable Caribbean family vacation full of adventure and fun. If you are flying with young children, look for an island with a large number of direct flights so you can travel at a convenient time and avoid having to switch planes. ​Jamaica, Puerto Rico, the Bahamas, the Dominican Republic, and the U.S. Virgin Islands all have hundreds of direct flights from North America weekly. These popular islands are also good bets for families in terms of dining and hotel options. Large resorts abound, many of them with programs specifically geared toward children, and you’ll have no trouble finding kid-friendly dining options, whether at your resort or a familiar fast-food joint. Spending time on the beach should be your first priority; one gem is the soft, white sand of Puerto Rico’s Luquillo Beach. If your kids are daredevils, they’ll enjoy the challenging waves and winds of Cabarete in the Dominican Republic, where they can try windsurfing and kiteboarding. Other special experiences include snorkeling or diving and feeding friendly stingrays at Stingray City on Grand Cayman; hiking through El Yunque National Forest; and taking a nighttime swim in Vieques’ bioluminescent bay, both in Puerto Rico. Older kids may enjoy the duty-free shopping on St. Thomas in the U.S. Virgin Islands or in St. Maarten. When booking your trip, keep an eye out for hotels and local activities spots that offer kid-friendly clubs and excursions. In many cases, hotels will have specific "kid camps" that offer activities and childcare throughout the day, while many adult excursions—zip-lining, scuba, you name it—offer kid-friendly options so that your little ones can experience some awesome fun in a safe, controlled environment. No matter where you go, be sure to mention you have kids with you—you might be surprised by what options are available to you! The two best lodging options for families are all-inclusive resorts and villas. Prices at all-inclusives cover accommodations, meals and a dizzying array of activities. Jamaica, the Dominican Republic, and the U.S. Virgin Islands all have terrific options in this category, including FDR Pebbles, which assigns each family a nanny. The Atlantis in the Bahamas has a truly awesome children’s program, plus acres of water-based entertainment including a snorkeling trail, a shark tank, and a 60-foot-long waterslide. Villas come with a kitchen and often a housekeeping staff, but you won’t have all the built-in entertainment choices. However, if you are looking to save some money on your trip, especially if you're traveling with 1 or more kids, villas are a great choice because they come with a kitchen, which allows you to not only prepare meals without going out, but also lets you store your kids' favorite treats and snacks in the fridge so that they don't get homesick (just remember to pack these in a carry-on! Or, visit your local market). Atlantis Paradise Island Resort, Bahamas: water park, family yoga, family water and land activities. Beaches Turks & Caicos Resort & Spa, Turks and Caicos: Sesame Street-themed kids programs, Pirate's Island Waterpark, Crayola Art Camps. Four Seasons Nevis in St. Kitts & Nevis: child-sized bathrobes, milk & cookies, Kids For All Seasons kids program.